Joseph Gill, a widower actually born in 1779, lived at the farm with his son William, his daughter in law Ann and their children, Joseph's grandchildren. His wife Mary had died but I can't find information on her death at the moment! Joseph died in July 1850 and was buried 28th July 1850 at St John the Baptist, Wakefield. This family had 2 entries on the 1841 census and the only differences between these entries, are those of William Jnr's occupation where he was described on 1 entry as an agricultural labourer and the other as a farmer and Mary Dugless, also entered as Mary Douglas, female servant on 1 entry and no occupation entered on the other. William Briggs was the son of Thomas Briggs 1780-1851 and Sarah Briggs nee Glover 1781-1836. By 1846 William Briggs b. ca. 1822 had taken over Red Hall as this was where he was living and working as a farmer, when he married Mary Ann nee Gill (daughter of George Gill, a grocer and flour dealer on Northgate) on 13th December 1846 in St. John's Church! Witnesses were Thomas and Elizabeth Briggs, either William's father or brother and his sister. I believe George Gill may have been a relation of Joseph Gill mentioned on the 1841 census. I found an entry for George's birth and baptism where his parents were Joseph Gill and Jane Gill nee Unknown from Newton, Wakefield. Thus Mary Ann Briggs nee Gill may have been a relation of Joseph? Could Joseph have married twice? If so that would make Mary his granddaughter! Or perhaps the 2 Joseph's are cousins? Mary Ann Briggs nee Gill's mother's maiden name was Hannah Sanderson and this is of importance later in my research as it lead me to a further discovery which I will report in a different post. The same Briggs family still in residence but there are now more children. The same Briggs family still in residence with another child added to the family. On this census, note William Jnr's middle name of Glover, his grandmother's maiden name! Mary Ann Briggs went on to marry William Pearson a farmer and market gardener in Potovens on 23rd December 1871 at St. Magdalene Church, Outwood. William Pearson was the son of Timothy Pearson who owned the farmhouse in Potovens. William and Mary Ann nee Briggs went on to farm at Broom Hall in 1891. William Pearson's sister Mary married Jesse Ramsden who was the 1st cousin 1x removed of Harold Ramsden who is commemorated on both the Wrenthorpe and Kirkhamgate War Memorials. You can also see a commemoration plaque from his family in St. Anne's Church, Wrenthorpe. Harold died in France on 20th August 1915 while serving with the West Yorkshire Regiment as Private 15/1102. He was awarded the 1915 Star, British War Medal and Victory Medal when he set foot in Egypt on 22nd December 1915. Who knows he may have set foot in one of Alice Chisholm's cafes there! (Refer to Colleen Goth's earlier post on this wonderful Australian woman). The Ramsden family had been market gardeners at Brandy Carr since the 1870's and they started growing rhubarb at about that time. Norman Asquith married into the Ramsden family and took over in 1962. Norman's son Ben runs Brandy Carr Nurseries today. The Nurseries are in the Rhubarb Triangle and their rhubarb is greatly sought after. They also produce Yorkshire Liqourice. By 1881 the children of William Briggs and Mary Ann Briggs nee Gill had all moved out. What is also worth noting is the number of men employed on the farm since 1851 had been reduced even though the acreage had increased. No doubt due to machinery being introduced on the farm! Which raises the questions as to when was the farm machinery introduced and the types used? As time went on farm machinery would have became more efficient hence the need for even less labourers. By 1891 William Briggs was a widower. His wife Mary Ann Briggs nee Gill died in1885, William had retired from farming and was living with his niece Annie Wyld (Wild?) as his housekeeper at 33 Howard Street, St. Johns. William died in 1892. Red Hall Farm was taken over by his son William Glover Briggs by 1891. William Glover Briggs married Elizabeth nee Appleyard in St. Mary Magdalene Church, Outwood on 25th March 1880 (witnessed by Elizabeth's sister, Mary Appleyard and John Blackburn.) They had lived at Bragg Lane End with their daughter Mary Ann Glover Briggs, where William was a farmer in 1881. Elizabeth was the daughter of John Appleyard, a wheelwright. Mary Ann Glover Briggs later went on to marry James Clegg in 1921, the uncle of Timothy Norman Clegg who died in WWII and is commemorated on the Wrenthorpe War Memorial! 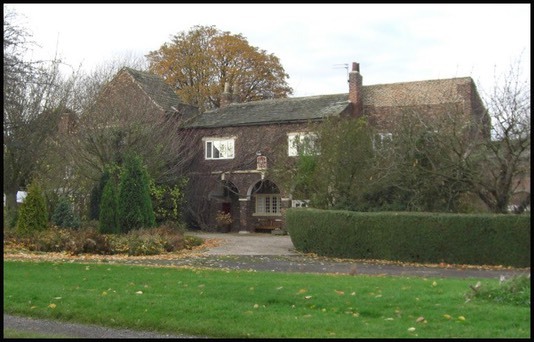 The Clegg family were connected to the Graziers Inn, Aberford Road and a farm on Finkin Lane near the Inn in Stanley, through James and his brother (father of Timothy Norman Clegg) Timothy's father Timothy 1828-1881, a publican and gardener. James was farming there when he married Mary. Henry was born 12th Jan 1891, William Glover Briggs and Elizabeth nee Appleyards youngest son on the 1891 census died in 1895. I found 2 possible deaths for him, 1 in 1891 and the other in 1895 (however I then found his baptism record in 1892), he is not on the 1901 census with his family. Further evidence appears on the 1911 census where it was recorded William and Elizabeth had 5 children living out of 8. Henry was one of the 3 children that died before 1911. This census shows William and Elizabeth had been married for 31 years, had 8 children and 3 had died. The missing children being Alfred Briggs 1892-1894 and George Frederick Briggs 1894-1895. The house is recorded as having 7 rooms, not including the bathroom. William Glover and his sons are running the farm. William Glover Briggs died towards the end of 1928. Elizabeth died in 1930. Jane Caroline went on to marry Percy Thompson a farmer from Sprotborough, Doncaster on 21st June 1915 whose father George and his older brothers were born in Wrenthorpe. The Thompson family lived at Broom Hall Farm working 108 acres of farmland in 1881. George's father Thomas, Percy's grandfather, Thomas Thompson was farming the Bragg Lane End Farm in 1841 and 1851. Sarah Glover Briggs born 9th January 1885 never married and died in Pontefract in 1962! At this time I don't know what happened to Thomas and William after 1911. Did they emigrate? I don't have access to the emigration records so if someone wants to help me out and check I would be very pleased! Perhaps you know already? I don't know exactly when the Asquith's took over Red Hall farm but William Asquith 1899-1964 died there and is buried in St. Paul's Church Cemetery, Alverthorpe. The Asquith family or a descendant still occupy Red Hall today I believe. The Asquith's are associated with Carr Gate before Red Hall Farm so I will cover them in more depth in another post! William Asquith was injured during WWI. He was awarded the British War Medal and Victory Medal while serving with the West Yorkshire Regiment as a Private. William enlisted on 7th September 1917 in Wakefield. He gave his address as Sycamore Cottage, Wrenthorpe and his occupation as "carter". He was just 18 years old. His father William (at the same address) was recorded as his next of kin. He had signed up with 6th T.R. Bn. as Private 89456 and was sent to Pontefract on 15th September. William arrived in Boulogne, France via Folkestone, on 7th April 1918 he was at Etaples Infantry Base Depot and was posted to 10th Bn. He joined his Bn. in the field the next day. He was appointed as an acting L/Cpl. (an unpaid promotion) on 1st October 1918. William suffered a gun shot wound to his left hand and left side of his neck while serving in France on 13th October 1918. By 17th October he was at the 2nd Southern General Hospital in Bristol. He was discharged on 9th December 1918 and granted 28 days furlough. He was transferred from 10th Bn. (as all wounded men were transferred from their former units after suffering injury, probably in an effort to keep up moral) to the 3rd Bn. He had relinquished his rank as Acting L/Cpl by leaving his former Bn., however on his discharge he was recorded as L/Cpl. 61812 on 12th January 1919. More will follow on these and other families that lived and worked on farms in and around Wrenthorpe. Obviously more information will come to light and perhaps some answers to the questions I've posed! I hope you find this of interest and if you can add information on Red Hall Farm please do! I will cover the other farms of interest on further posts in a similar manner to this one! The next post on these will be White Hall Farm!